How setting a schedule can make you LESS productive | Redux & Co. It can seem like there’s never enough time – not enough for sleep and not enough for play, not enough for cooking and not enough for exercise. There’s a relatively new term to describe this feeling: time famine, or the sensation of having too much to do without enough time to do it. The idea is that scheduling will make you more efficient: When you allocate your time, it organizes your day into a series of appointments, meetings and calls, while blocking off free time for other activities or tasks. But in a series of eight studies, Gabriela Tonietto, Steve Nowlis and I found that scheduling can sometimes backfire – and actually make us less productive. Much of scheduling’s downside has to do with the anticipation of a meeting or appointment. When we know a scheduled meeting or phone call is looming, it can make us feel like we have less time to do what we need to do. In one study, we asked attendees of an academic conference whether they would go to the presidential address taking place about an hour later. Some said they would, and others said they wouldn’t. Those who planned to attend the address reported that the hour leading up to it felt shorter. In another study, we had half of the participants imagine that a friend would be coming over in an hour, while the other half were told to imagine they had no plans. We asked all of the participants how many minutes they “subjectively” felt like they could spend reading during that same hour. Those who were told to imagine that a friend would be coming over reported that the hour leading up to the visit had only 40 usable minutes for reading. Those who were told to imagine they had no plans felt as if they had 49 minutes to read. So the presence of an upcoming activity seems to have shrunk how much time people felt they had to do something. We believe that when there’s an appointment looming, we direct our attention to it, whether it’s mentally preparing for it or simply dreading it. This makes the future appointment feel more substantial; as a result, the time interval leading up to the scheduled activity feels limited and insufficient. Free to do … less? But in the end, you still have the same amount of time leading up to a scheduled event. So feeling like you have less time shouldn’t really matter, right? But it does. The feeling by itself can influence what people decide to do. We know that when something is scarce, people consider it more valuable and are less willing to part with it. The same is true for time. If time feels limited, people are less likely to use it – even when it’s in their best interest. So in another study, we gave participants an empty calendar for the next day and asked them to fill it up, as accurately as possible, with what they had scheduled (including preparation or transition times). This allowed us to correctly calculate how much free time they had in between each planned event. We then gave participants an opportunity to participate in a second study. Everyone made a choice between participating in a 30-minute online study that would earn them US$2.50, or signing up for a 45-minute online study to receive $5.00. Each would take place during an hourlong window. On our end, we strategically chose the hourlong window for the participants. We told half of them that the study would take place within an hour of an event they’d scheduled. The other half would take the study during a time period that concluded with a half-hour cushion before their scheduled event. We found that participants in the first group were much less likely to choose the longer but more lucrative study – despite having more than enough time to complete the study. In yet another study, we wondered if the mere reminder of an upcoming event could have a similar effect. For those in the latter group, the simple mention of “starting something” was enough to change their behavior. We found that they engaged in significantly fewer activities, whether it was answering emails or checking social media, in this short five-minute period. Some might think that time famine arises because they have too much to do and not enough time to do it. While this may certainly be the case at times, our results suggest that the fault also lies in our own perception of what we feel can be done with the time we have. In other words, it’s important to realize that we might be contributing to our time famine. 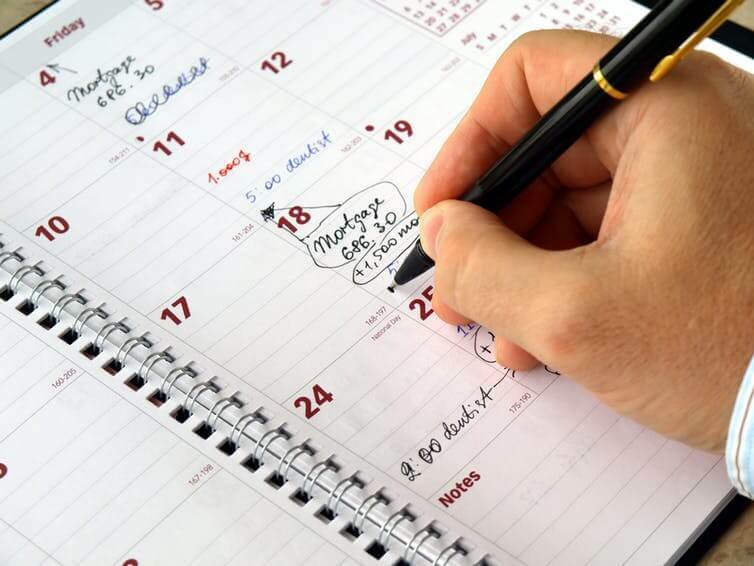 If you love scheduling and planning out your days, a trick could be to schedule events or tasks back-to-back, which leaves you with larger chunks of unscheduled time. Several uninterrupted hours of unscheduled time will feel longer, especially if there’s nothing scheduled looming. It can be effective to remind yourself that time isn’t as short as it feels. Even if you don’t think you’ll have enough time to complete something, you can still start a task and finish it later. This entry was posted by pilot in Life Skills and tagged calendar, planners, productivity, schedule, tasks, time famine, to-do lists.